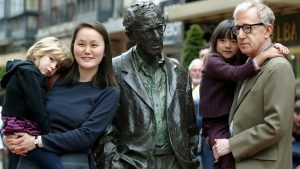 As a child, Dylan Farrow’s sexual abuse allegation against Woody Allen wasn’t find credible by 2 independent teams of experts on sexual abuse. As an adult, she’s lying for everything and there is evidence. This post is an excerpt from a larger essay completed with sources and links. Dylan Farrow’s 8 lies have been written in a single letter published by Vanity Fair, a magazine of popular culture, well known for supporting Mia Farrow and slandering Woody Allen since 1992 (Mia Story). Dylan used all or part of these 8 lies many times, like in her statement to Soon-Yi testimony on New York Magazine on September 17, 2018. Quite the opposite! 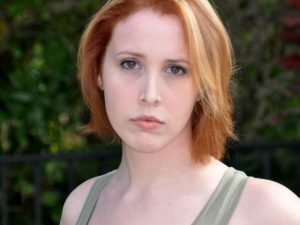 Dylan Farrow has wavered all time, both as a child and as an adult. Woody Allen never changed in his deny. Dylan and Satchel (now Ronan) Farrow were in treatment with two child psychologists, Woody Allen wasn’t. One of Dylan’s child psychologist found that Woody Allen behavior with Dylan was inappropriately intense because it excluded everybody else, and it placed a demand on a child for a kind of acknowledgment that I felt should not be placed on a child”. He also precised “I didn’t see it as sexual”. Supreme Court Document. Woody Allen was never asked by the state police to take a polygraph but took one voluntary and passed. He asked to Mia Farrow to take one, she refused. Many Dylan Farrow’s lies are directly copied from “10 Undeniable facts…” wrote by Maureen Orth for Vanity Fair. Maureen Orth has obediently reported Mia Farrow words and lies since 1992 (Mia Story) and is also known for slandering Michael Jackson. An other “independent, highly respected journalist” is Nicholas Kristof, Mia Farrow’s very close friend, who published Dylan’s open letter in The NYT. Both Dr. Coates and Dr. Schlutz, Dylan and Ronan child psychologists, didn’t believe the abuse occurred. The judge said their judgement could have been colored by their loyalty to Mr. Allen. Neither Dr. Coates nor Dr. Schlutz were part of the team of experts commissioned by the State police and the prosecutor Frank Maco. 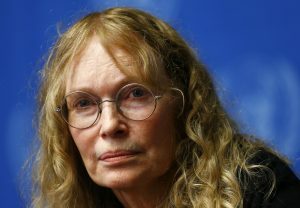 After nine interview with Dylan and reviewing the videotape, the team concluded unambiguously that Dylan Farrow wasn’t abused sexually and suggested she was coached by Mia Farrow. Babysitters with a s is a lie: there is one and only testimony. Never Justice Wilk in the Supreme Court document used the words “inappropriate sexual behavior” about the babysitter testimony. The words “inappropriate sexual behavior” are the creation of an adult Dylan Farrow who has previously lied by writing “…he was in treatment for what his own therapist described as “inappropriate” behavior with me…” (Lie Number 2) and is going to lie again about Woody Allen’s “grossly inappropriate” behavior (Lie Number 8).